We have hand picked each item in the Lake Country CCS Pad 5.5" Kit because they are highly effective when paired together. To create the best kit possible we utilize our years of detailing experience, combined with input from some of the best detailers around the country. We are confident you will get outstanding results with each item and really enjoy how your vehicle looks afterward. Save 16% off of the retail price of individually purchasing these items! Lake Country CCS Black Finishing Pad (5.5") - pair with your favorite light polish, AIO, glaze, wax or sealant. 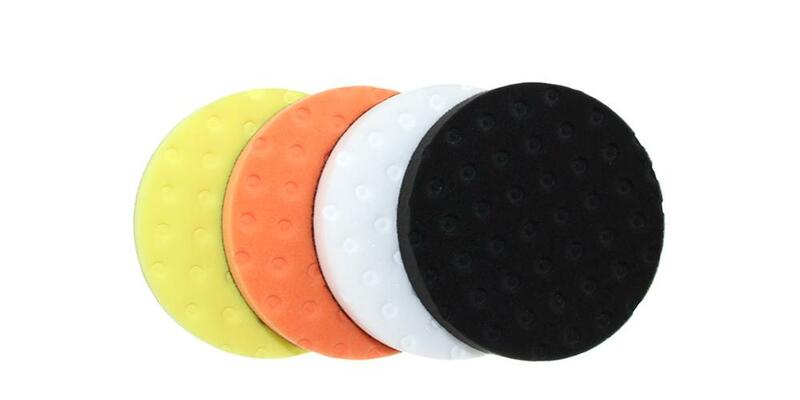 Lake Country CCS White Polishing Pad (5.5") - safely removes fine swirls and oxidation with ease! I have ordered and used these pads before. I like them, they are durable. After much research on YouTube, I chose the Lake Country CCS pads for my first time with a DA polisher. Extremely happy with the product. Combined with Griots Garage Finishing Sealant produced amazing results.